Providing a hands-on science, technology, engineering and mathematics (STEM) learning experience to every Indiana elementary school by utilizing an economical, entry level robotics platform, for students both in and out of the classroom. Thanks to our sponsors and the amazing elementary teachers throughout Indiana, TechPoint Foundation for Youth was able to help start 347 new elementary robotics teams throughout the state. Our work is not done though. Our next task is to assure that each school, teacher and team, has the resources needed to be successful and grow. We plan on re-opening the State Robotics Initiative grant in February 2017! We will have 400 more grants available. The Indiana Robot Map shows where all of the awarded elementary schools are located. With 347 awarded schools, robotics is becoming more accessible to Indiana students. The map on the right shows all schools who have not applied and are still eligible for the grant. These schools can apply for 1 of the 400 grants we will award next school year. You can view an interactive map at: www.techpointyouth.org/robotmap Please help us spread the word! To see a complete list of awarded schools click here. The robotics season is underway and competitions are exciting to attend - especially if you have not experienced one before! Below are 3 competitions that TechPoint Foundation for Youth is hosting as well as a list of all of the 35+ Indiana competitions throughout the state. IndyVRC City Championship - The 5th annual IndyVRC will be held this year at the University of Indianapolis. With over 180 school-based teams competing in the largest city robotics championship in the nation! That’s over 1,200 students, elementary through high school, filling the University of Indianapolis on Saturday, January 7 and Sunday, January 8, 2017! Indiana State Robotics Competition - This year 96 elementary teams will compete for 20 worlds championship spots. The event will be held in the Student Campus Center on IUPUI's campus February 25th from 8am - 5pm. Indiana Local Competitions - To see a full list of all local competitions hosted by Robot Educators visit this page. All competitions are free to spectate. 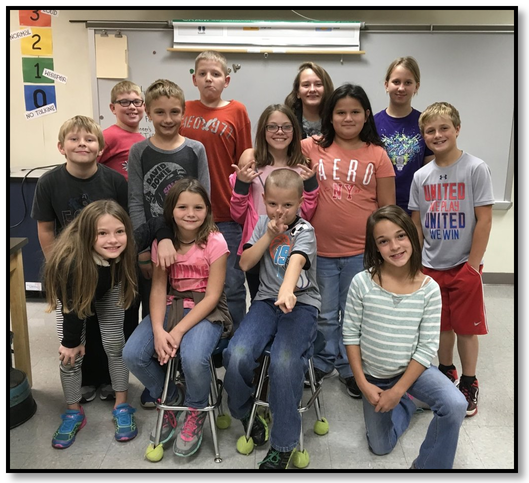 Read Ms. Janice Skinner’s - one of our very own grant winners - thoughts below about her South Newton elementary team’s first ever competition and why she’s so glad she gave her students the opportunity to compete! Events are taking place around the state nearly every weekend between now and February 2017, giving robotics teams the opportunity to collaborate and develop their skills in a competitive environment. Help spread the word! If you are reading this, we would appreciate your help! Our current goal is to spread the word about competitions around the state! Tweet about us: "Robot competition season is here! Register a team for $25 or attend as a guest 4 free! Find events at bit.ly/INRobotEvents @TPF4YRobots"
Facebook about us: "Robot competition season is underway in Indiana! Current teams can register for only $25 and anyone may attend as a guest for free! Come join in on the fun and support your local robot team. For a full list of all Indiana events, visit bit.ly/INRobotEvents @TPF4YRobots"